Mini-Circuits is committed to fulfilling its International Traffic in Arms Regulations("ITAR") responsibilities and establishing ITAR awareness with customers and suppliers. 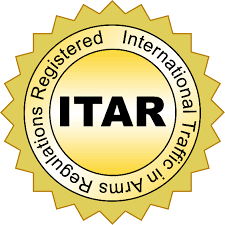 In order to meet this commitment, all ITAR technical data(as defined under ITAR) sent to Mini-Circuits must be specifically marked "ITAR-controlled" in the subject line by the sender and sent only to itar@minicircuits.com, or P.O. Box 350137, all in accordance with and subject to the provisions of Mini-Circuits' applicable quote or order acknowledgment, as applicable.